E! 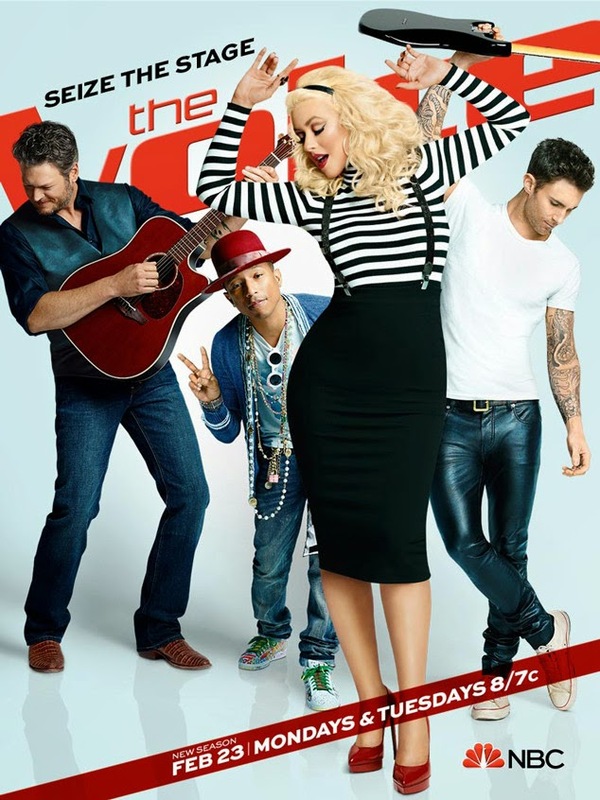 unmasks first look poster of Christina Aguilera's return to The Voice! Reality shows are so 2002. Singing competitions, especially! American Idol should have ended in Season 6, but it gets drawn out for SEVEN more seasons despite ratings showing no one cares. The Voice is losing steam and has yet to create an actual superstar. So I ask, what is the point of airing singing competitions when the popularity and demand for them really isn't there any more? Producers must know this because more focus is centered around the chemistry of the judges than the actual contestants. E! 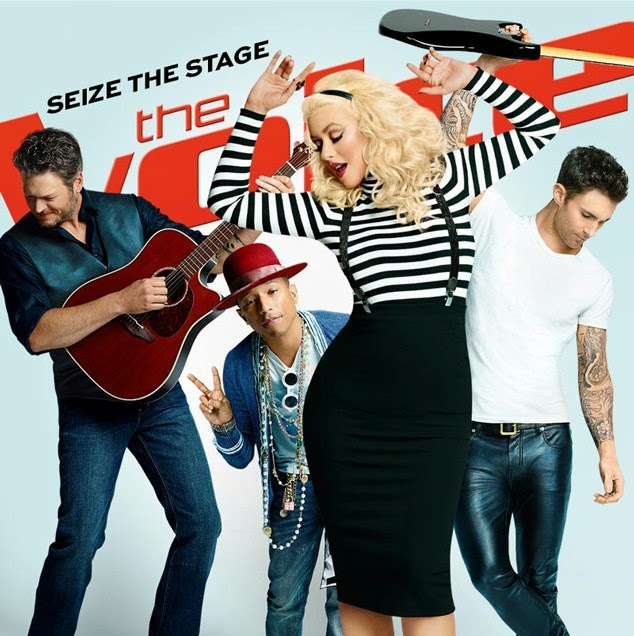 Online has unveiled this first look poster of Christina Aguilera and co-stars for Season 8's The Voice. 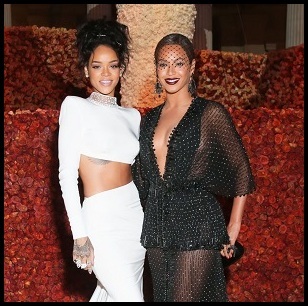 She looks amazing after giving birth to her daughter five months ago. I'm just waiting for her new album this year, because I will not be watching The Voice unless she performs new music.